A sneak peak of upcoming film The Twilight Saga: Eclipse will be found on special fan edition Blu-ray and DVD releases of Twilight: New Moon. 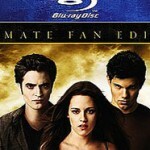 Walmart (now taking pre-orders) will exclusively carry “The Twilight Saga: New Moon Ultimate Fan Edition” which contains seven minutes of behind-the-scenes footage and a scene from the upcoming film. “The Twilight Saga: New Moon Ultimate Fan Edition,” as well as the two-disc Special Edition DVD and Special Edition Blu-ray releases of the film, contain 50 minutes of extra footage, audio commentaries and interviews with the cast. ‘New Moon’ will release at midnight on March 20, 2010. Walmart.com currently has the Fan Edition Blu-ray for $29.96 (List: $37.88) and Fan Edition DVD for $24.96 (List: $33.99). Amazon.com has the non-exclusive Blu-ray Disc release for $21.99 (List: $34.99), and non-exclusive two-disc DVD for $20.49 (List: 32.99).